Here’s what’s up at the Bag and Kettle for February vacation week..
Breakfast, Brunch, Lunch, Apres, Dinner or just a snack, check out the WSKI TV 17 Dining Guide. Do you you have a business you’d like to see included in our Dining Guide? 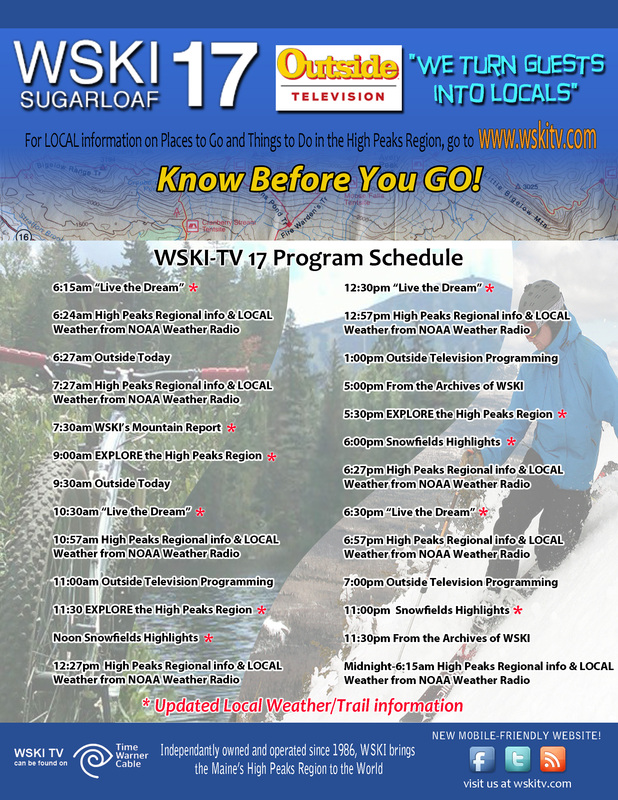 Get a hold of us at 207-237-6895 or wskitv@wskitv.com. Mike McGowen tells us all about D’Ellies and what they have to offer. Breakfast and lunch daily, homemade breads, unique drinks and so much more! Sandy Bell, manager at Sugarloaf’s Widowmaker Lounge, tells us about some of the new looks, eats as well as brews for this season. Check it out!